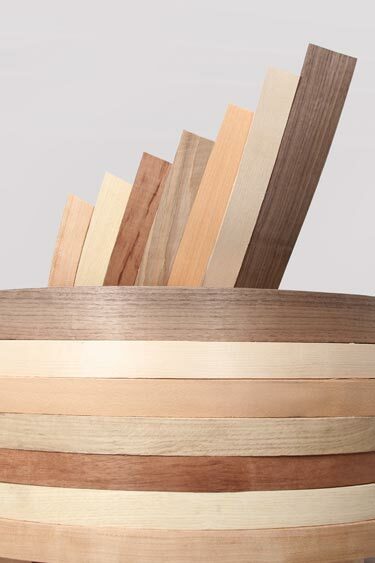 VeneerTech SA's Flexiwood®, continuous LVE (laminated veneer edge-banding), saves both time and money by making it easier than ever before, to produce a quality product. 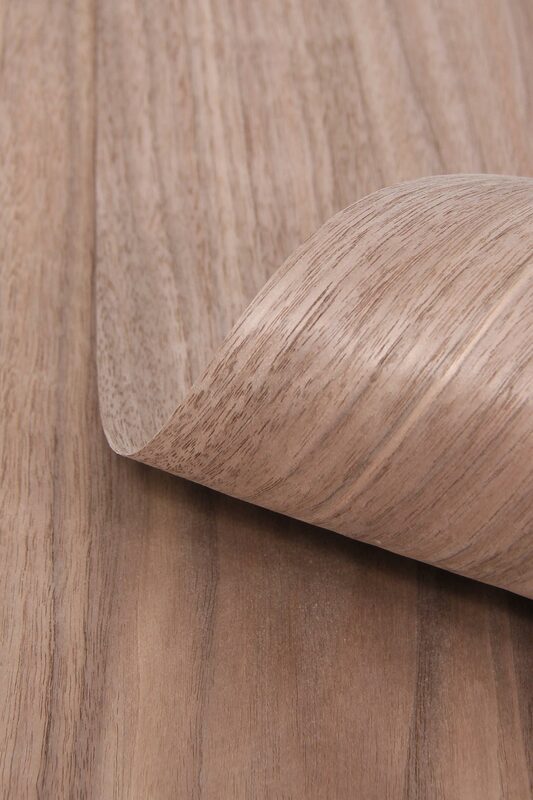 Unlike traditional LVE, Flexiwood® is a soft material” which is easier to apply and trims better, providing a superior finish. .
Our Flexiwood has excellent adhesion and will handle contours and radii previously not possible, opening new design possibilities . With knowledge gained for over three generations, our flexiwood has stood the test of time achieving World Class quality and durability. With one of the widest ranges of veneer species, our flexiwood range features an array of beautiful and expertly curated flexiwood varieties. 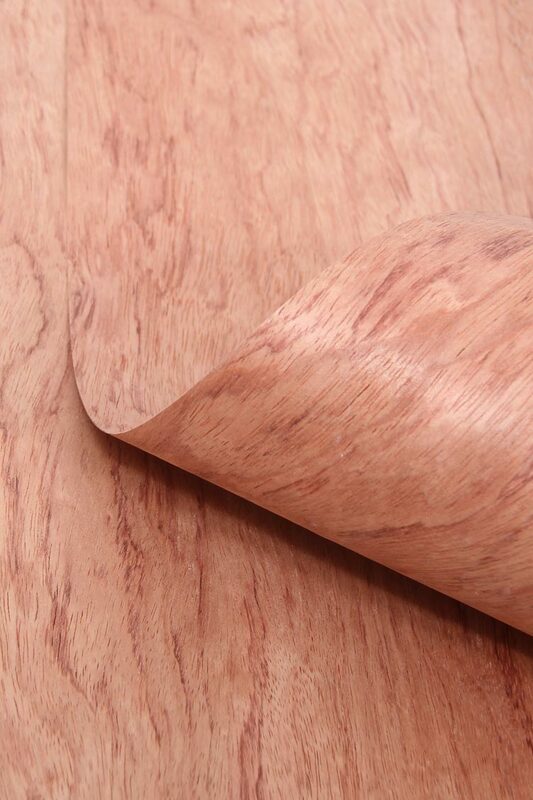 Flexiwood being a soft material, trims better, provides a far superior edge finish, has excellent adhesion and will handle contours and radii previously not possible. Being soft in application, Flexiwood requires little or no hand sanding to obtain a perfect edge finish, saving valuable man hours and making it easier to produce a quality product. 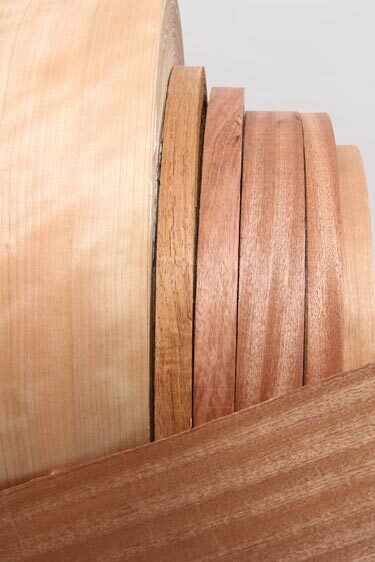 Using Flexiwood will vastly improve the lifespan of the trimmers and cutters and Flexiwood® can be used in the smallest of edge-banders and can even be hand trimmed. 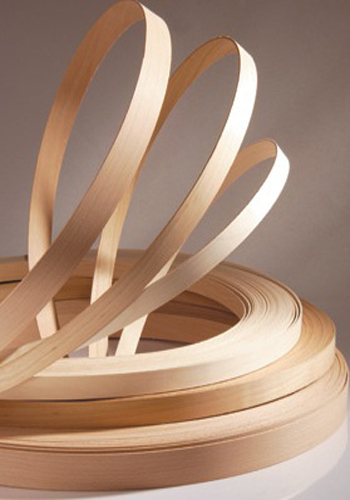 Flexiwood® uses neither PVA nor urea formaldehyde glue and never experiences seepage problems of the bonding glue, to the surface layers, Flexiwood will always provide an excellent bond.Traditional LVE tends to have memory, in that it constantly attempts to return to its coiled state, often requiring clamping of the last 10cm (4”) on the ends of a length to ensure a reliable bond. 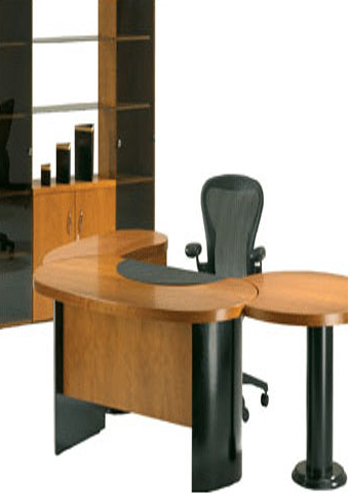 This additional time consuming process is eliminated with the use of Flexiwood. Tight radii, with a traditional LVE, especially in a 3mm (1/8”) thickness, are often just not possible in one pass and require a 1.5mm (0.06”) to be applied in two applications to achieve a 3mm (18”) thickness. This costly and time consuming process is eliminated using 3.1mm (1/8”) Flexiwood.Flexiwood® finger joints are practically invisible and the length between finger joints on the face veneer is typically 2800mm (9’) in length. 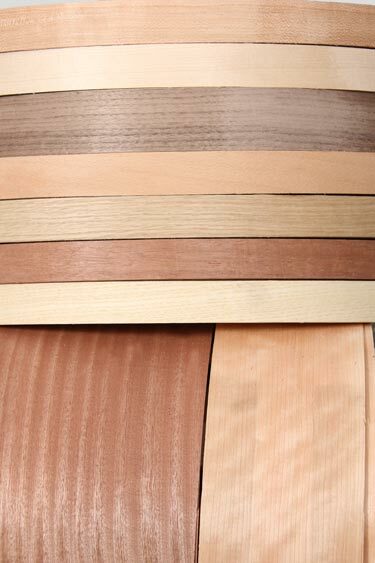 Full sheet veneer only is used in all the layers of Flexiwood i.e. no edge jointed materials are used in any layers as is often the case. © 2016 VTSA | Flexiwood Range.